Dude? If it wasn’t you then who said “Good Morning”? 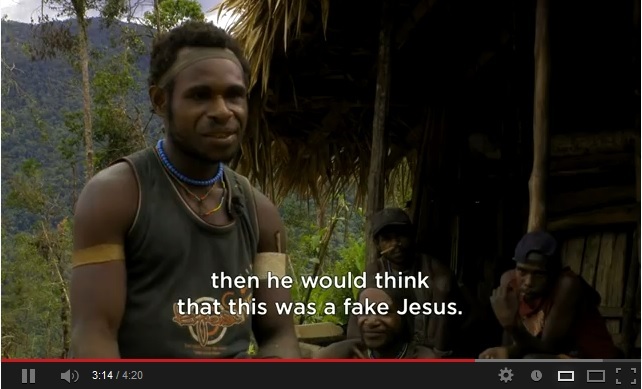 Paiye of the primitive Moi tribe of West Papua tells the Easter or Resurrection story in his own words. It is said that there are only 700-800 Moi in existence. The Moi have a language and culture completely their own. Hmm. Good to see no one has introduced the Easter bunny plus all the commercialism that goes with Easter and most Christian festivities. Pray for missionaries – pray that they remain faithful to the message of the gospel. Forsaken by God – Jesus became a Curse. Many times we hear some one say, “God loves you unconditionally” or “God loves you no matter what you do”. This usually may reflect a relative theological naievity in the speaker. It most times shows that the person doesn’t know what the lifeless bloodied body of God on the cross signified. It also makes the hearers take home a false notion that God doesn’t really care much about sin and you can live your reckless life without any care. But then…. If there ever was an obscenity that violates contemporary community standards, it was Jesus on the cross. 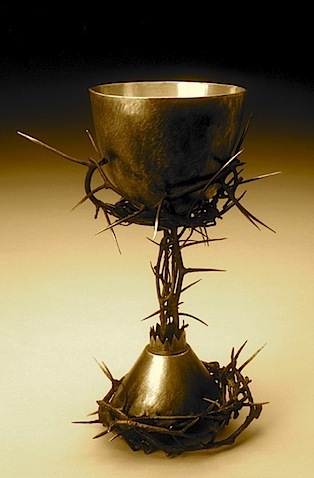 After he became the scapegoat and the Father had imputed to him every sin of every one of his people, the most intense, dense concentration of evil ever experienced on this planet was exhibited. Jesus was the ultimate obscenity. So what happened? God is too holy to look at sin. He could not bear to look at that concentrated monumental condensation of evil, so he averted …Read More! The gospel is secondary. 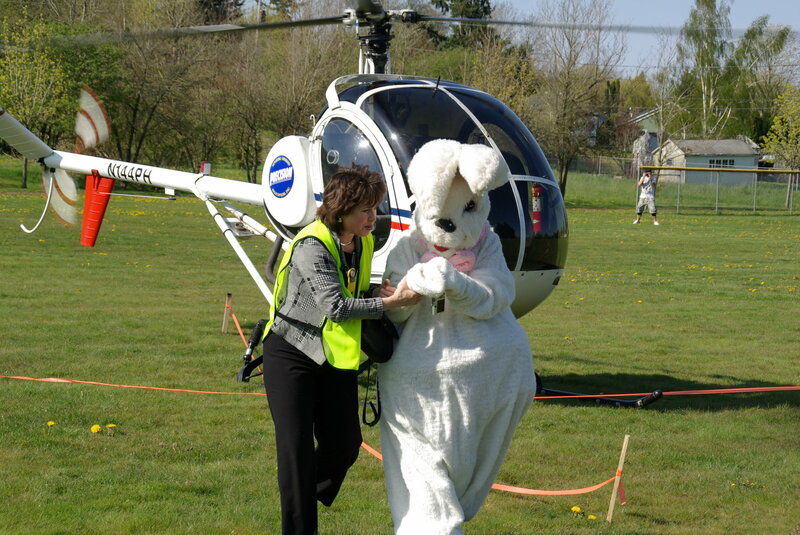 Come for the Easter Helicopter Egg Drop! iPads to be given away too. Interested already? As many churches celebrate Easter with special church services and egg hunts including candy, one North Carolina church will be giving away an Apple iPad, Xbox 360 and two iPod shuffles. The Shelby campus of Element Church, a recently established congregation of Cleveland County, will be holding a 12,000-egg hunt event at the Keeter stadium of Shelby High School. Skipper Allen, campus pastor at Element Church, told The Christian Post that the Shelby campus would be doing this along with their other campus in Forest City. “We have done an egg drop event at our Forest City campus for years now. This year we decided that we would continue doing it in Forest City, and in order to gain more momentum for our Shelby campus we decided to do the exact same service at the same time,” said Allen. “There will be an invitation given so that people have a chance to respond to the Gospel, and after all of that then we will have the egg hunt portion of the event,” said Allen. A helicopter will drop thousands of eggs, nearly all of which will be filled with candy save four of them which will have markings that make them redeemable for one of the more technological prizes. …Read More! 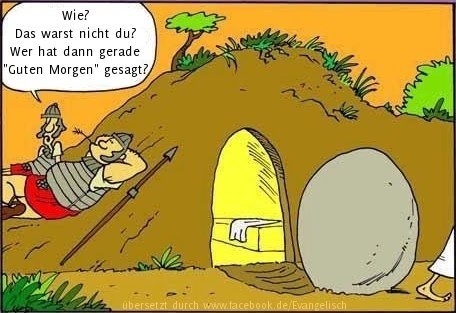 The Easter story re-told in real time using social media. 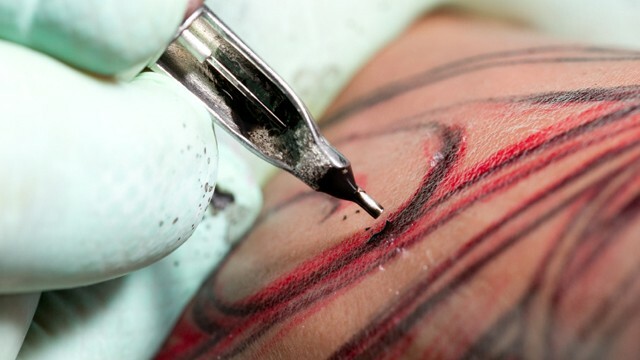 Pastor urges Hip congregants to suffer for Jesus by getting Tattooed. Standing in front of his congregation at Ecclesia Church, a congregation he admits is different – more diverse, more urban – than many evangelical churches – Chris Seay encouraged them to do so something he said combines the ideas of sacrifice and devotion that mark the Lenten season, the 40-day lead up to Easter. “The tendency we have as Christians is to skip past Jesus’ suffering,” Seay said in an interview. “Not only do tattoos come with a bit of suffering, they are also an art form that has not fully been embraced.” …Read More! LENT: Excuse me ma’am, you got something on your fore head. Let me rub it off! Greg Miller is not confused by the smudged foreheads he sees on the streets this time of year. In fact, he waits all year to see them. For Christians, Ash Wednesday marks the beginning of Lent, and the tradition of putting ash crosses on the forehead is meant to symbolize the beginning of a penitential season, a reminder of mortality. …Read More! This is an archive article from 2010 by Denise Mala. Bay Area Fellowship, the largest church in Corpus Christi, gives away flat-screen televisions, skateboards, Fender guitars, furniture and 15 cars — yes, cars — at its Easter services. And even those who don’t win big walk away with something. The church gathers donations for 15,000 gift bags, each with about $300 worth of free goods and services. By Denise Mala, Full article Here. Bay Area Fellowship, the largest church in Corpus Christi, is giving away flat-screen televisions, skateboards, Fender guitars, furniture and 15 cars — yes, cars — at its Easter services. And even those who don’t win big will walk away with something. The church has gathered donations for 15,000 gift bags, each with about $300 worth of free goods and services. The wildly popular yet wholesome Jonas Brothers will perform for Saddleback Church next month during the Southern California megachurch’s Easter service. Saddleback senior pastor Rick Warren announced the pop rock boy band’s upcoming performance this week in a tweet two months before his church kicks off a flurry of activities. [pullquote][Please note: This is an archived article from early 2010][/pullquote]The wildly popular yet wholesome Jonas Brothers will perform for Saddleback Church next month during the Southern California megachurch’s Easter service.